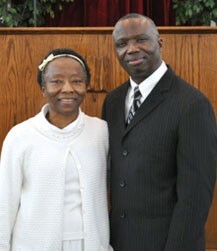 Reverends Bobby and Sallie Thomas have been pastors of Christ Gospel Church of Kennett, Missouri since October 2009. Prior to Kennett, they pastored for two years in Cairo, Georgia. They both have served their country in the U.S. military and have Bachelor of Arts degrees in Business. Rev. Bobby Thomas is actively involved in community service. They have two children and two grandchildren.